Embraer invites the world to ‘rethink convention’ with the introduction of the 12-passenger Legacy 500. As a leader in its class, the Legacy 500 redefines standards of safety, comfort, performance, and technology in private jet travel. Embraer believes, without question, that the Legacy 500 is one of the most advanced private jets in the world. During the North American 2017 Tour, Embraer invites you to enjoy an exclusive preview of this midsize marvel at Clay Lacy Aviation. Embraer left no detail to chance with the design of the Legacy 500. Innovative and extraordinary, the extensive array of features included in this aircraft create an unmatched flying experience for passengers and crew. 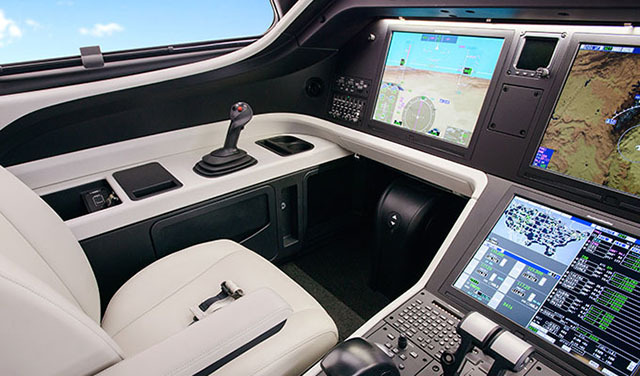 As the only aircraft in its class to offer full digital flight controls, or “fly-by-wire” technology, the Legacy 500 reduces pilot workload while enhancing safety, performance, and control. Passengers also benefit from the design, cabin styling, and ergonomics of this highly advanced midsize business jet. Embraer achieved one of many ‘Best In Class’ acknowledgments with state-of-the-art cabin pressurization; resulting in reduced in-flight fatigue and optimized safety. Smooth, quiet, and quick— the Legacy 500 is the fastest midsize business jet in the world. The plane’s design allows for high-utilization and experiences the longest maintenance intervals industry-wide. In addition to delivering excellent runway performance and a high-speed cruise of Mach 0.82, the Legacy 500 can take you— and up to eight people— coast-to-coast nonstop. 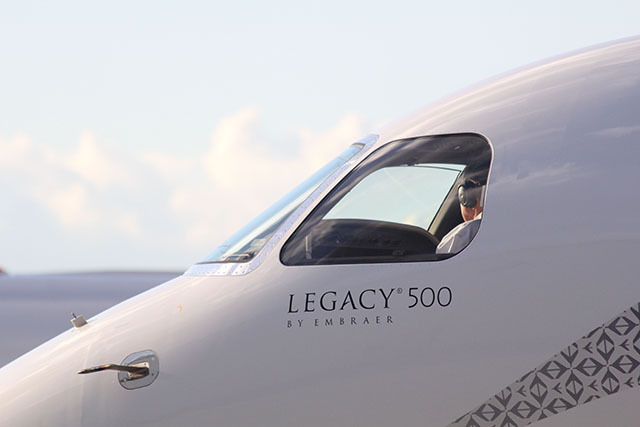 Interested in discovering how far you can travel with the Legacy 500? Explore Embraer’s interactive range map. 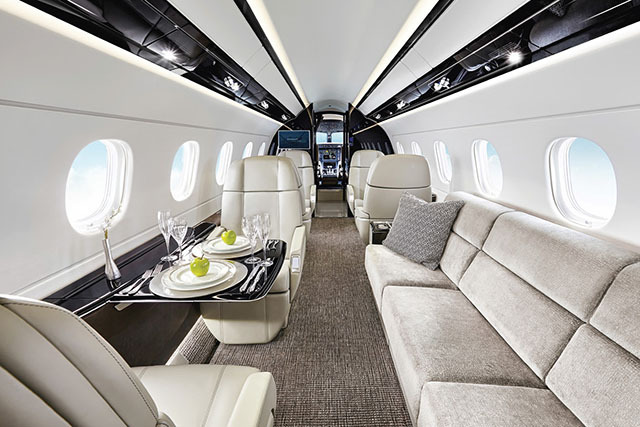 Both interior and exterior features of the Legacy 500 exhibit advanced systems and technology. Beneath the pristine exterior, Embraer introduced the world to a “green” jet that operates with new technology for reduced emissions and noise. Other aircraft additions include single-point refueling, an externally serviced lavatory, and the future availability of a head-up display. Cabin design incorporates simplicity, transparency, light, and serenity that conveys a feeling of sensual elegance. Comfortable and spacious, the Legacy 500 is the only midsize jet with a flat floor, full stand-up cabin. Four chairs offer fully berthable positions to create an environment conducive to sleeping during overnight trips. Windows are placed at optimum levels to match seating position, and galley design is expansive for complete functionality. The Legacy 500 undoubtedly allows one to experience a new definition of luxury and freedom. The Legacy 500 will be on static display and available for private viewings at Clay Lacy during Embraer’s North American 2017 Tour. The tour will be stopping at Clay Lacy Seattle; October 16 and Clay Van Nuys/Los Angeles; October 23. To schedule a private viewing visit Embraer’s event registration. Images compliments of Embraer Executive Jets.